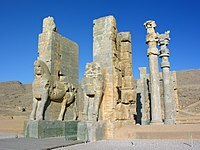 The Saffarid dynasty (Persian : سلسله صفاریان‎) was a Muslim Persian  dynasty from Sistan that ruled over parts of eastern Iran, with its capital at Zaranj (a city now in southwestern Afghanistan). Khorasan, Afghanistan and Sistan from 861 to 1003. One of the first indigenous Persian dynasties to emerge after the Arab Islamic invasions,        its founder was Ya'qub bin Laith as-Saffar, who was born in 840 in a small town called Karnin (Qarnin), which was located east of Zaranj and west of Bost, in what is now Afghanistan - a native of Sistan and a local ayyār, who worked as a coppersmith (ṣaffār) before becoming a warlord. He seized control of the Sistan region and began conquering most of Iran and Afghanistan, as well as parts of Pakistan, Tajikistan and Uzbekistan. Persian, also known by its endonym Farsi, is one of the Western Iranian languages within the Indo-Iranian branch of the Indo-European language family. It is a pluricentric language primarily spoken in Iran, Afghanistan, and Tajikistan, Uzbekistan and some other regions which historically were Persianate societies and considered part of Greater Iran. It is written right to left in the Persian alphabet, a modified variant of the Arabic script. The Persian Empire refers to any of a series of imperial dynasties that were centred in Persia/Iran from the 6th century BC Achaemenid Empire era to the 20th century AD in the Qajar dynasty era. Sīstān, known in ancient times as Sakastan, is a historical and geographical region in present-day eastern Iran and southern Afghanistan. Largely desert, the region is bisected by the Helmand River, the largest river in Afghanistan, which empties into the hamun lakes that form part of the border between the two countries. Zaranj or Zarang is a city in southwestern Afghanistan, near the border with Iran, which has a population of 160,902 people as of 2015. It is the capital of Nimruz province and is linked by highways with Lashkar Gah to the east, Farah to the north and the Iranian city of Zabol to the west. Zaranj is a major border crossing between Afghanistan and Iran, which is of significant importance to the trade-route between Central Asia and South Asia with the Middle East. The Hindu Kush, also known in Ancient Greek as the Caucasus Indicus or Paropamisadae, is an 800-kilometre-long (500 mi) mountain range that stretches near the Afghan-Pakistan border, from central Afghanistan to northern Pakistan. It forms the western section of the Hindu Kush Himalayan Region (HKH). It divides the valley of the Amu Darya to the north from the Indus River valley to the south. The Tahirid dynasty was a dynasty, of Persian dihqan origin, that effectively ruled the Khorasan from 821 to 873 while other members of the dynasty served as military and security commanders for the city of Baghdad from 820 until 891. The dynasty was founded by Tahir ibn Husayn, a leading general in the service of the Abbasid caliph al-Ma'mun. Their capital in Khorasan was initially located at Merv but was later moved to Nishapur. The Tahirids have been described as the first independent Iranian dynasty after the fall of the Sassanian Empire. However, according Hugh Kennedy: "The Tahirids are sometimes considered as the first independent Iranian dynasty, but such a view is misleading. The arrangement was effectively a partnership between the Abbasids and the Tahirids." And instead, the Tahirids were loyal to the Abbasid caliphs and enjoyed considerable autonomy rather than being independent from the central authority. The tax revenue from Khorasan that was sent to the caliphal treasury was perhaps larger than those collected previously. The Saffarid empire did not last long after Ya'qub's death. His brother and successor, Amr bin Laith, was defeated at the Battle of Balkh against Ismail Samani in 900. Amr bin Laith was forced to surrender most of his territories to the new rulers. The Saffarids were subsequently confined to their heartland of Sistan, with their role reduced to that of vassals of the Samanids and their successors. The Battle of Balkh took place between the armies of the Samanid Empire under the command of Emir Isma'il ibn Ahmad and Saffarid forces under Emir Amr ibn al-Layth in 900. The Saffarid army was defeated by the Samanid forces, and Amr ibn al-Layth was captured. A vassal is a person regarded as having a mutual obligation to a lord or monarch, in the context of the feudal system in medieval Europe. 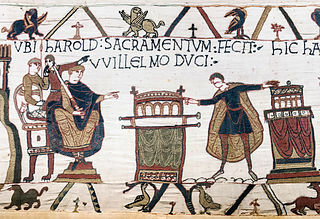 The obligations often included military support by knights in exchange for certain privileges, usually including land held as a tenant or fief. The term is applied to similar arrangements in other feudal societies. Ya'qūb ibn al-Layth al-Saffār, or Ya'qūb-i Layth-i Saffārī, born Rādmān pūr-i Māhak, a Persian coppersmith, was the founder of the Saffarid dynasty of Sistan, with its capital at Zaranj. Under his military leadership he conquered much of the eastern portions of the Greater Persia consisting of modern-day Iran, Afghanistan, Turkmenistan, Uzbekistan, Tajikistan as well as portions of western Pakistan and a small part of Iraq. He was succeeded by his brother, Amr ibn al-Layth. Zamindawar is an historical region of Afghanistan and Pakistan ,it is very large and fertile valley the main sources for irrigation is Helmand River and karizes Helmand borders the road that leads from Kandahar to Herat via Farah. It corresponds to the PakistanI region of Zhob. Zamindawar is located in the greater territory of northern Helmand and encompasses the approximate area of modern day Baghran, Musa Qala, Naw Zad, Kajaki and Sangin districts. It was a district of hills, and of wide, well populated, and fertile valleys watered by important tributaries of the Helmand. The principal town was Musa Qala, which stands on the banks of a river of the same name, about 60 m, north of Girishk. Zunbil, also written as Zhunbil, was a royal dynasty south of the Hindu Kush in present southern Afghanistan region. They ruled from the early 7th century until the Saffarid conquest in 870 AD. The Zunbils are believed to be an offspring of the southern-Hephthalite rulers of Zabulistan. The dynasty was related to the Kabul Shahis of the northeast in Kabul. They are described as having Turkish troops in their service by Arabic sources like Tarikh al-Tabari and Tarikh-i Sistan. Herāt is the third-largest city of Afghanistan. It has a population of about 436,300, and serves as the capital of Herat Province, situated in the fertile valley of the Hari River in the western part of the country. It is linked with Kandahar, Kabul, and Mazar-i-Sharif via Highway 1 or the ring road. It is further linked to the city of Mashhad in neighboring Iran through the border town of Islam Qala, and to Mary in Turkmenistan to the north through the border town of Torghundi. A caliphate is an Islamic state under the leadership of an Islamic steward with the title of caliph, a person considered a religious successor to the Islamic prophet Muhammad and a leader of the entire ummah (community). Historically, the caliphates were polities based in Islam which developed into multi-ethnic trans-national empires. During the medieval period, three major caliphates succeeded each other: the Rashidun Caliphate (632–661), the Umayyad Caliphate (661–750) and the Abbasid Caliphate (750–1258). In the fourth major caliphate, the Ottoman Caliphate, the rulers of the Ottoman Empire claimed caliphal authority from 1517. During the history of Islam, a few other Muslim states, almost all hereditary monarchies, have claimed to be caliphates. Bādghīs is one of the thirty-four provinces of Afghanistan, located in the northwest of the country next to Turkmenistan. It is counted as one of the most underdeveloped of the country's provinces. The capital is Qala i Naw, while the most populous city and district is Bala Murghab. The ruins of the medieval city of Marw al-Rudh, the historical capital of the medieval region of Gharjistan, are located in the province near the modern city of Bala Murghab. Kerman is the capital city of Kerman Province, Iran. At the 2011 census, its population was 821,394, in 221,389 households, making it the 10th most populous city of Iran. Fars Province also known as Pars or Persia in the Greek sources in historical context, is one of the thirty-one provinces of Iran and known as the cultural capital of the country. It is in the south of the country, in Iran's Region 2, and its administrative center is Shiraz. It has an area of 122,400 km². In 2011, this province had a population of 4.6 million people, of which 67.6% were registered as urban dwellers (urban/suburbs), 32.1% villagers, and 0.3% nomad tribes. The etymology of the word Persian, found in many ancient names associated with Iran, is derived from the historical importance of this region. Fars Province is the original homeland of the Persian people. Independence from the Abbasid Caliphate. Conquered by Mahmud ibn Sebuktigin of the Ghaznavid Empire in 1002 CE. The Muslim conquests of Afghanistan began during the Muslim conquest of Persia as the Arab Muslims were drawn eastwards to Khorasan, Sistan and Transoxiana. 15 years after the Battle of Nahāvand, they controlled all Sasanian domains except parts of Afghanistan and Makran. Nancy Dupree states that Arabs carrying the religion of Islam captured Herat and Sistan, but the eastern areas often revolted and converted back to their old faiths whenever the Arab armies withdrew. The harshness of the Arab rule caused the native dynasties to revolt after the Arab power weakened like the Saffarids. Fuller Islamization wasn't achieved until the period between 10th-12th century under Ghaznavid and Ghurid dynasty's rule who patronized Muslim religious institutions. The Samanid Empire, also known as the Samanian Empire, Samanid dynasty, Samanid Emirate, or simply Samanids, was a Sunni Iranian empire, ruling from 819 to 999. The empire was centered in Khorasan and Transoxiana during its existence; at its greatest extent, the empire encompassed all of today's Afghanistan, large parts of Iran, Tajikistan, Turkmenistan, Uzbekistan, Kyrgyzstan, and parts of Kazakhstan and Pakistan. Khorasan, sometimes called Greater Khorasan, is a historical region lying in northeast of Greater Persia, including part of Central Asia and Afghanistan. The name simply means "East, Orient" and loosely includes the territory of the Sasanian Empire north-east of Persia proper. Early Islamic usage often regarded everywhere east of so-called Jibal or what was subsequently termed 'Iraq Ajami', as being included in a vast and loosely-defined region of Khorasan, which might even extend to the Indus Valley and Sindh. During the Islamic period, Khorasan along with Persian Iraq were two important territories. The boundary between these two was the region surrounding the cities of Gurgan and Qumis. In particular, the Ghaznavids, Seljuqs and Timurids divided their empires into Iraqi and Khorasani regions. Ibrahim ibn Ilyas was a Samanid ruler of Herat. He was the son of Ilyas. Amr ibn al-Layth or Amr-i Laith Saffari was the second ruler of the Saffarid dynasty of Iran from 879 to 901. He was the son of a whitesmith and the younger brother of the dynasty's founder, Ya'qub ibn al-Layth al-Saffar. Abu'l-Hasan Tahir ibn Muhammad ibn Amr was amir of the Saffarid amirate from 901 until 909. He was the son of Muhammad ibn Amr. Al-Layth ibn Ali ibn al-Layth was amir of the Saffarid amirate from 909 until 910. He was the son of Ali ibn al-Layth and nephew of the first two Saffarid rulers, Ya'qub ibn al-Layth and Amr ibn al-Layth. Abu Hafs ‘Amr ibn Ya'qub ibn Muhammad ibn ‘Amr was the Saffarid amir of Sistan for slightly over a year (912–913). He was the son of Ya'qub, the brother of Tahir ibn Muhammad ibn Amr. Abu Ja'far Ahmad ibn Muhammad was the amir of Sistan from 923 until his death. He is responsible for restoring Saffarid rule over Sistan, and was a great patron of the arts. Abu 'Abdallah Muhammad ibn Tahir ibn 'Abdallah was the last Tahirid governor of Khurasan, from 862 until 873. Before the Islamic conquest of Afghanistan communities of various religious and ethnic background lived in the land. South of the Hindu Kush was ruled by the Zunbil and Kabul Shahi rulers. When the Chinese travellers visited Afghanistan between 399 and 751 AD, they mentioned that Buddhism was practiced in different areas between the Amu Darya in the north and the Indus River in the south. The land was ruled by the Kushans followed by the Hephthalites during these visits. It is reported that the Hephthalites were fervent followers of the god Surya. 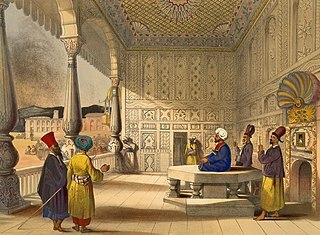 The term Iranian Intermezzo represents a period in history which saw the rise of various native Iranian Muslim dynasties in the Iranian plateau. This term is noteworthy since it was an interlude between the decline of Abbāsid Arab rule and power and the eventual emergence of the Seljuq Turks in the 11th century. The Iranian revival consisted of Iranian support based on Iranian territory and most significantly a revived Iranian national spirit and culture in an Islamic form. Rāfi‘ ibn Harthama was a mercenary soldier who in the turmoils of the late 9th century became ruler of Khurasan from 882 to 892. Laith, also romanized as Layth, is an Arabic and Scottish Gaelic name. Amīr Sūrī was the king of the Ghurid dynasty from the 9th-century to the 10th-century. He was a descendant of the Ghurid king Amir Banji, whose rule was legitimized by the Abbasid caliph Harun al-Rashid. Amir Suri is known to have fought the Saffarid ruler Ya'qub ibn al-Layth al-Saffar, who managed to conquer much of Khurasan except Ghur. Amir Suri was later succeeded by his son Muhammad ibn Suri. Although Amir Suri bore an Arabic title and his son had an Islamic name, they were both Buddhists and were considered pagans by the surrounding Muslim people, and it was only during the reign of Muhammad's son Abu Ali ibn Muhammad that the Ghurid dynasty became an Islamic dynasty. Pushang, also known by its Arabicized form of Bushanj, Bushang, Pushanj, and Fūshanj, was the name of a town in Khorasan, close to Herat in present-day Afghanistan. Muslim conquest of Khorasan was the last phase of the heavy war between the Rashidun caliphate against Sassanid Empire. ↑ "Persian Prose Literature." World Eras. 2002. HighBeam Research. (September 3, 2012);"Princes, although they were often tutored in Arabic and religious subjects, frequently did not feel as comfortable with the Arabic language and preferred literature in Persian, which was either their mother tongue—as in the case of dynasties such as the Saffarids (861–1003), Samanids (873–1005), and Buyids (945–1055)...". ↑ Robinson, Chase F. (2009). The new Cambridge history of Islam. Vol 1, Sixth to eleventh centuries (1. publ. ed.). Cambridge: Cambridge Univ. Press. p. 345. ISBN 978-0-521-83823-8. The Tahirids had made scant use of Persian, though the Saffarids used it considerably more. But under the Samanids Persian emerged as a full "edged language of literature and (to a lesser extent) administration. Court patronage was extended to Persian poets, including the great Rudaki (d. c. 940). Meanwhile Arabic continued to be used abundantly, for administration and for scientific, theo logical and philosophical discourse. ↑ The Islamization of Central Asia in the Samanid era and the reshaping of the Muslim world, D.G. Tor, Bulletin of the School of Oriental and African Studies, University of London, Vol. 72, No. 2 (2009), 281;"The Saffārids were the first of the Persianate dynasties to arise from the remains of the politically moribund ʿAbbāsid caliphate". ↑ The Cambridge History of Iran, by Richard Nelson Frye, William Bayne Fisher, John Andrew Boyle (Cambridge University Press, 1975: ISBN 0-521-20093-8), pg. 121. ↑ The Encyclopedia of World History, ed. Peter N. Stearns and William Leonard Langer (Houghton Mifflin, 2001), 115. ↑ "Saffarid dynasty", The Oxford Dictionary of the Middle Ages, Oxford University Press, 2010-01-01, doi:10.1093/acref/9780198662624.001.0001/acref-9780198662624-e-5140, ISBN 9780198662624 , retrieved 2019-03-19, One of the first indigenous Persian dynasties to emerge after the Arab Islamic invasions. ↑ "There were many local Persian dynasties, including the Tahirids, the Saffarids....", Middle East, Western Asia, and Northern Africa, by Ali Aldosari, p472. ↑ "Saffarid, the Coppersmith, the epithet of the founder of this Persian dynasty...", The Arabic Contributions to the English Language: An Historical Dictionary, by Garland Hampton Cannon, p288. ↑ "The Saffarids, the first Persian dynasty, to challenge the Abbasids...", Historical Dictionary of the Ismailis, by Farhad Daftary, p51. ↑ The Development of Persian Culture under the Early Ghaznavids, C.E. Bosworth, Iran, Vol. 6, (1968), 34. ↑ Saffarids, C.E. Bosworth, Encyclopedia of Islam, Vol. VIII, Ed. C.E.Bosworth, E. van Donzel, W.P.Heinrichs and G. Lecomte, (Brill, 1995), 795. ↑ Saffarids, Encyclopedia of Islam, Vol. VIII, 795. ↑ Esposito, John L., The Oxford History of Islam (Oxford: Oxford University Press, 1999), p. 38. ↑ The Development of Persian Culture under the Early Ghaznavids, C.E. Bosworth, 34. ↑ C.E. Bosworth, The Ghaznavids 994-1040, (Edinburgh University Press, 1963), 89. ↑ The Ṭāhirids and Persian Literature, C. E. Bosworth, Iran, Vol. 7, (1969), 104. ↑ The Tahirids and the Saffarids, C.E.Bosworth, The Cambridge History of Iran: The period from the Arab Invasion to the Saljuqs, Vol. IV, Ed. R.N.Frye, (Cambridge University Press, 1999), 129. ↑ Pandjhir, Encyclopedia of Islam, Vol. VIII, 258. Wikisource has the text of the 1911 Encyclopædia Britannica article Ṣaffārids .